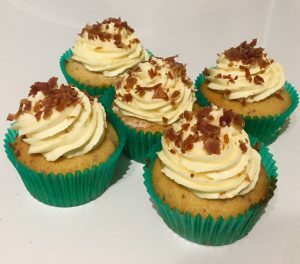 Posted on June 23, 2018 Posted in Cupcakes	. Tiramisu is my ultimate all-time favorite dessert ever. 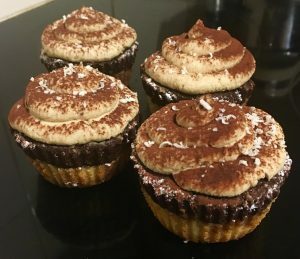 The only thing with traditional Tiramisu is that its not the easiest thing to eat – a bowl/plate as well as a spoon is a must. Unlike a slice or cupcake Tiramisu can really only be eaten sitting at a table. 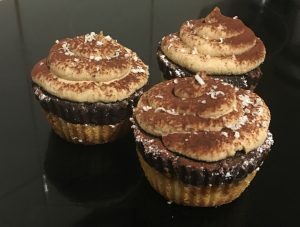 So I decided that I would come up with a recipe that tastes like the traditional treat but as a cupcake. 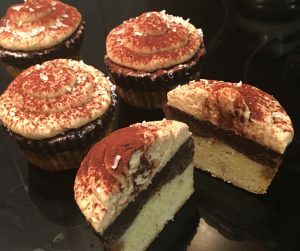 For the cupcake recipe, I modified my never fail white chocolate and dark chocolate wedding cake recipes with the coffee and marsala flavor combo, as well as staying true to the traditional mascarpone cheese for my ‘icing’. 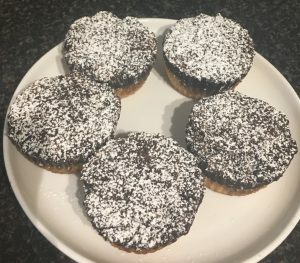 Though I have included the mix of white and dark chocolate in this recipe, in which is not traditional for this dessert, the chocolate batter works flawlessly with the traditional flavors. 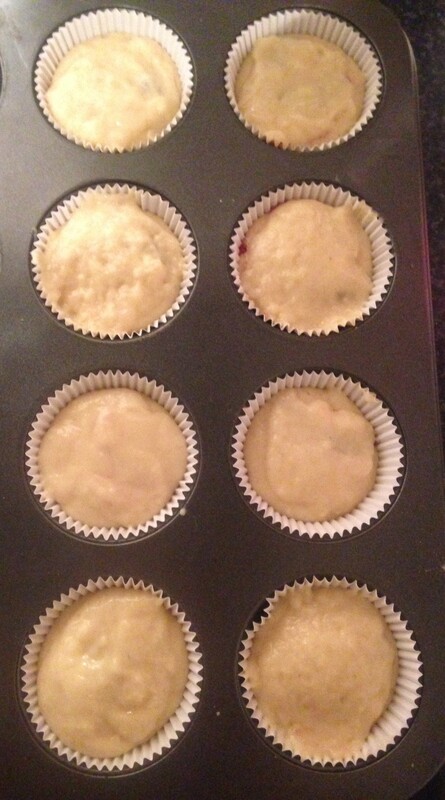 Pre-heat the oven to 160c degrees and line an 8-capacity cupcake tray with patty cases. Spray the patty cases with oil spray. 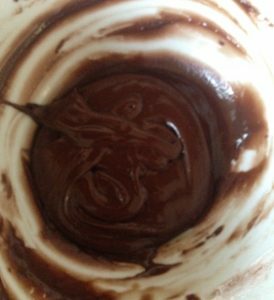 In a saucepan on the stove melt the butter, chocolate, sugar and water on medium heat until smooth and glossy. 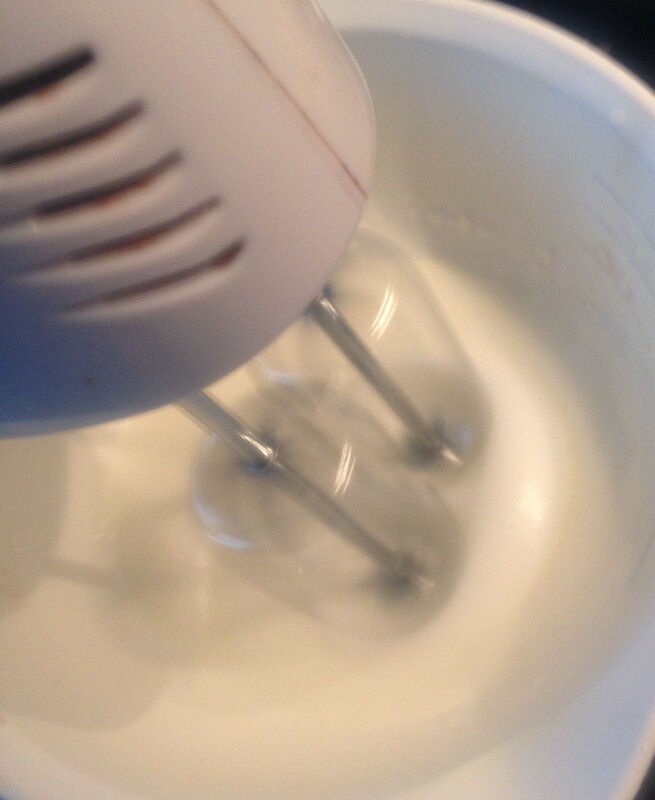 Pour the room temperature chocolate mix, milk and egg into a bowl. 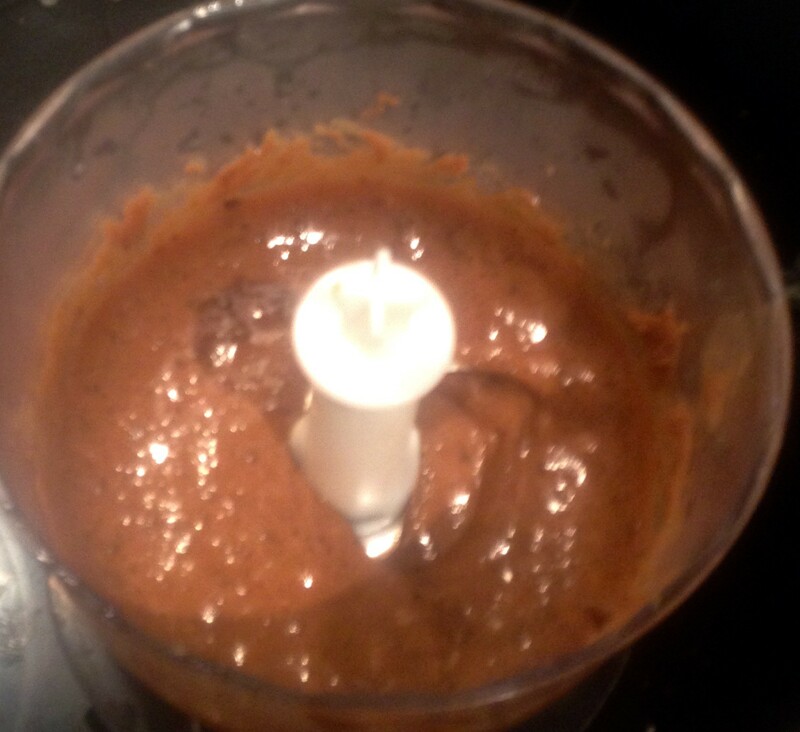 Sift the flour to the chocolate mix and whisk with a hand whisk until smooth. 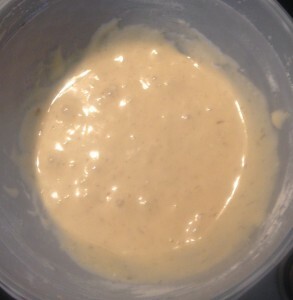 Spoon the mix into the prepared patty cases until 1/3 full. 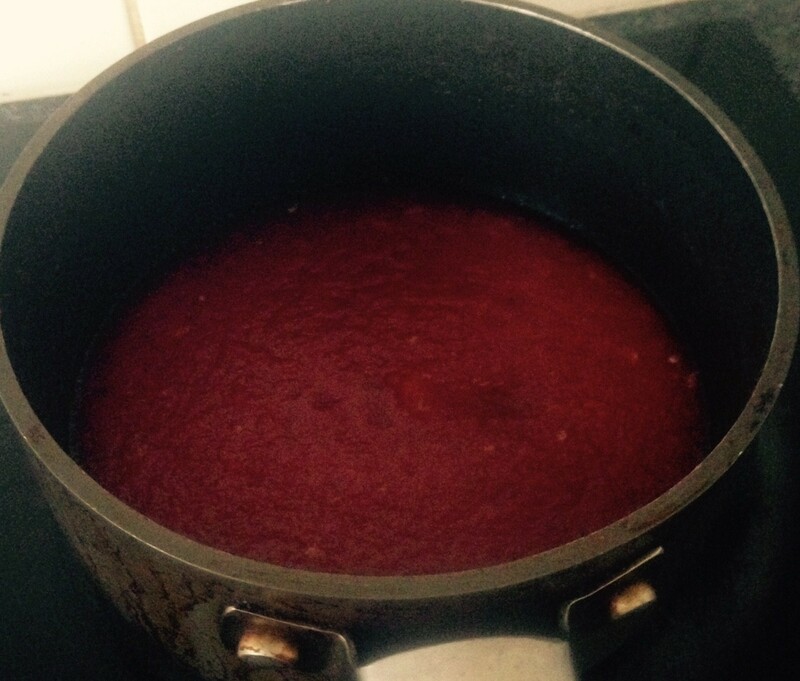 Place the tin in the freezer for 10 minutes to slightly firm. 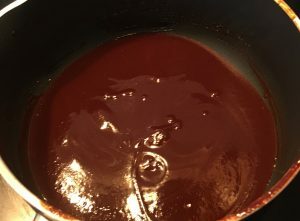 Meanwhile make the dark chocolate batter by placing the butter, chocolate, sugar and water into a saucepan on medium heat until smooth and glossy. Pour the room temperature chocolate mix, expresso and egg into a bowl. Sift in the flour and cocoa powder into the chocolate mix and whisk with a hand whisk until smooth. 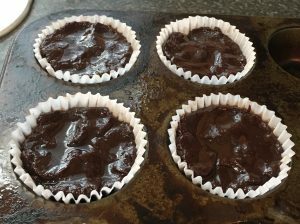 Take the tin out of the freezer and spoon the dark chocolate mix into the prepared patty cases until they are 2/3rds full. 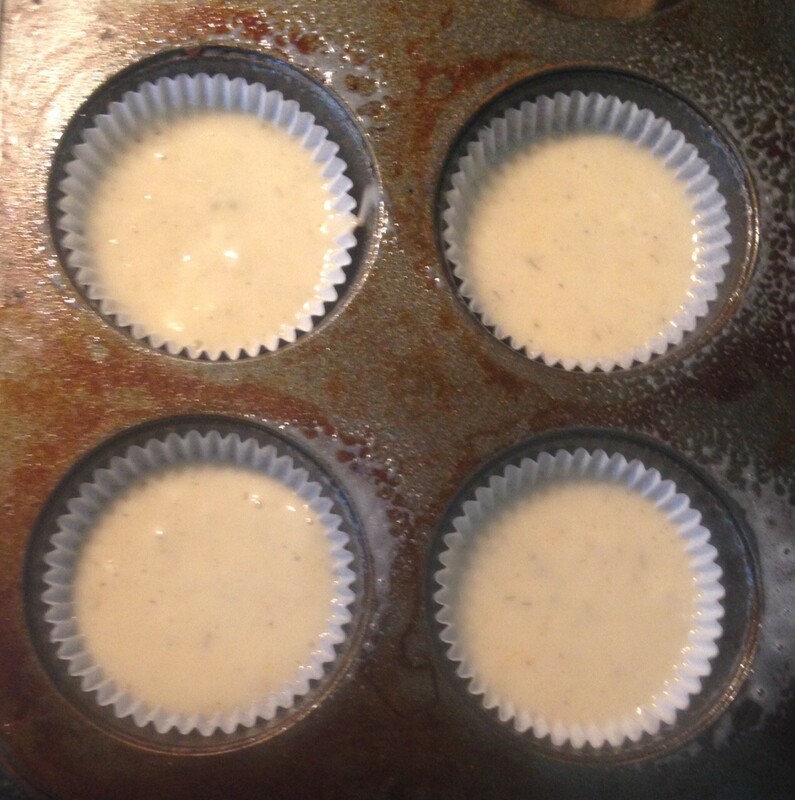 Place the cupcake tin in the oven and bake for 20 minutes or until a skewer inserted in the center comes out clean. 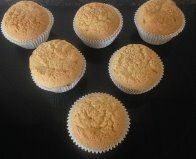 Leave the cupcakes in the tin for 5 minutes before placing onto a cooling rack to cool completely. 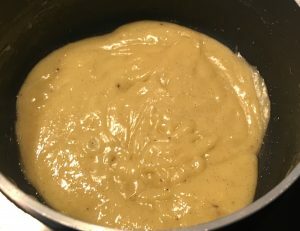 Meanwhile make the syrup by placing the ingredient into a bowl and heating in the microwave until bubbling, leave aside. 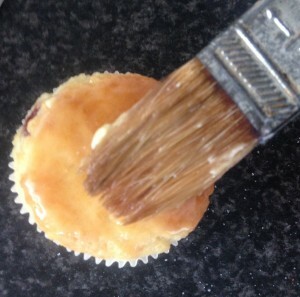 Brush the syrup on top of the cupcakes with a pastry brush and remove the patty cases. 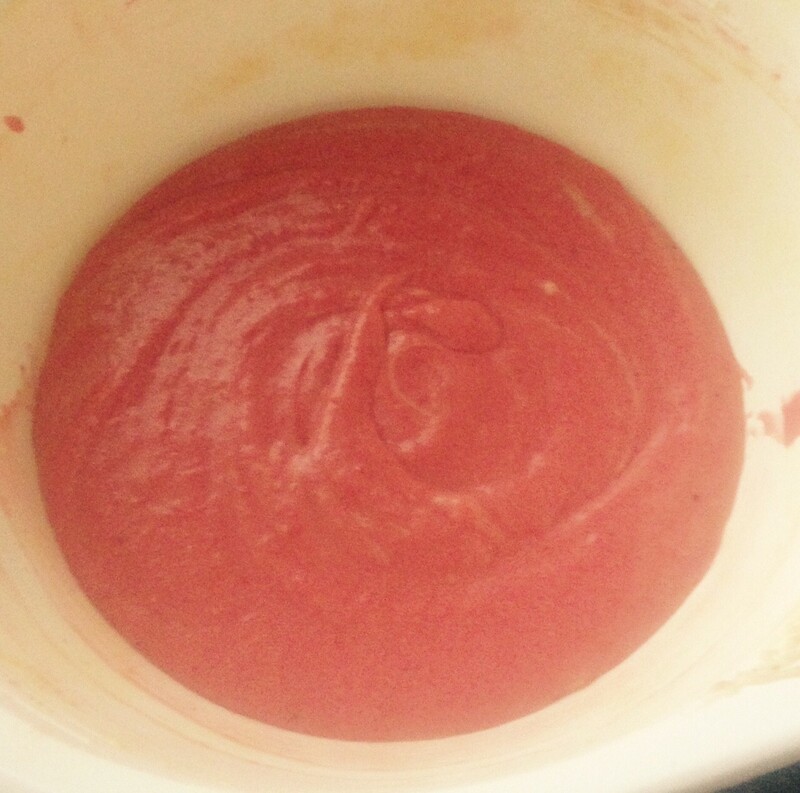 Make the icing by placing all the icing ingredients into a bowl and using electric beats whisk until the mix thickens. 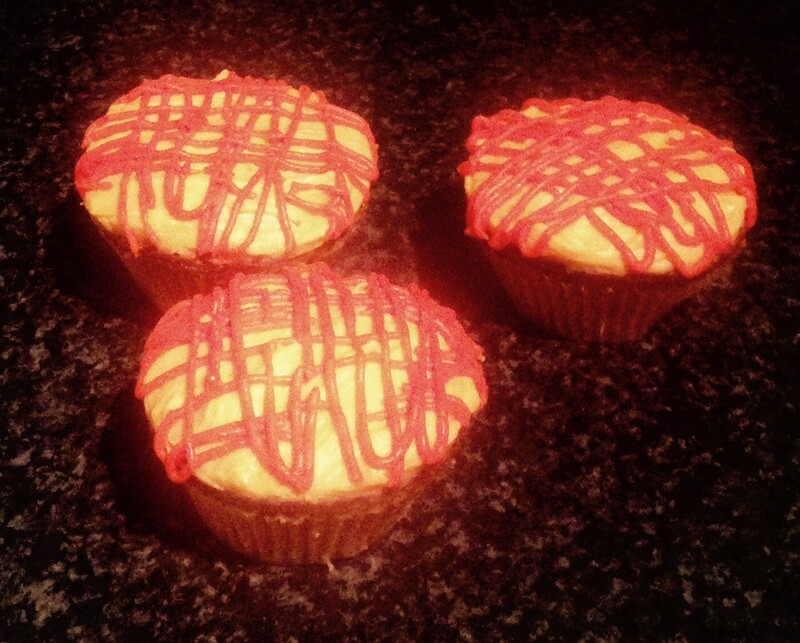 Spoon the icing into a piping bag with a circle nozzle and pipe on top of the cupcakes. 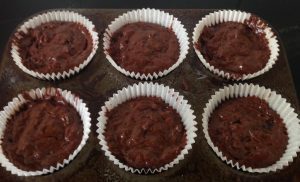 Finish the cakes with a dust of cocoa powder and some grated white chocolate. 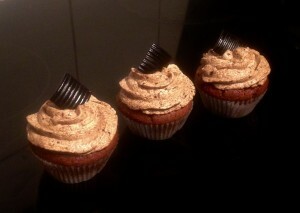 Tags: chocolate, Chocolate Top-Deck Tiramisu Cupcakes, coffee, dark chocolate, marsala, mascapone, white chocolate	. 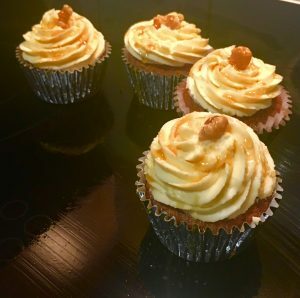 Posted on March 31, 2018 Posted in Cupcakes	. 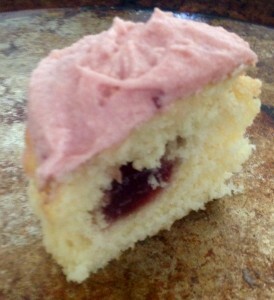 Yes this does sound like a cupcake recipe with flavours at opposite side of the pairing scale. 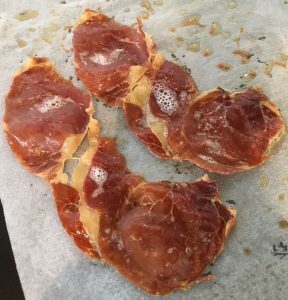 The fragrant delicate vanilla taste mixed with the deep and strong olive oil palate, however stick with me for a minute as these flavours really do work together. The vanilla gives the olive oil richness and sweetness that makes an interesting and complimentary combination. 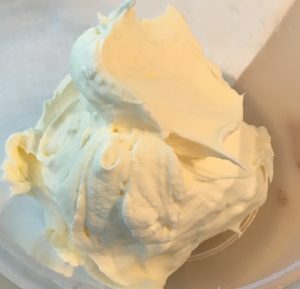 However, using olive oil instead of butter means the loss of some soft and fluffiness, thus I needed to include some creaminess to the recipe. 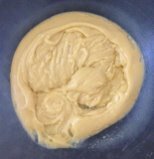 As olive oil is a core ingredient in Greek/Italian food I though I would introduce an icing that also held these properties, therefore a ricotta icing was produced. The ricotta added the missing element making the cupcake very unique in taste and satisfying to eat. If you like the taste of olive oil you will definitely love this treat. And the touch of lemon zest, well this with the olive oil is a marriage made in heaven. 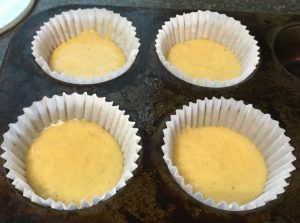 Pre-heat the oven to 180c degrees and line a 24 capacity cupcake tin with patty pans. Place the 5 egg yolks onto a bowl with 50g of the sugar and beat with electric beaters for 10 minutes, until the mix is pale and creamy. Add the vanilla and olive oil and beat until light and creamy. 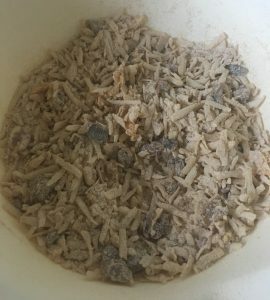 Add the flour and beat until just combine. In a separate bowl beat the 4 egg whites until soft peaks. Add the cream of tartar and remaining sugar, 1 tbsn at a time, beat until glossy and thick. Fold ¼ of the eggwhite mix into the olive oil batter until combine. 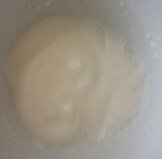 Fold the remaining egg whites in until just combine. Spoon the mix into the 24 medium size cupcake patties in the prepared cupcake tray. Bake in the oven for 15 minutes of until a skewer inserted in the middle comes out clean. Place the cupcakes on a rack to cool. To make the icing beat the icing sugar and butter with electric beaters until light and fluffy. 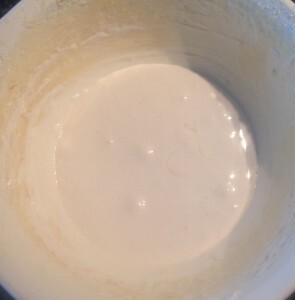 Add the vanilla essence, zest, oil and ricotta and beat until the mix is smooth. 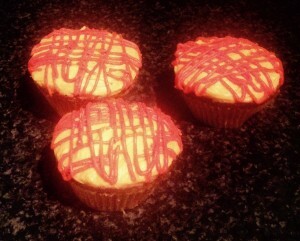 Using a piping bag and star nozzle pipe the icing on the top of the cooled cupcakes. 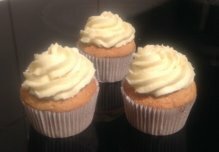 Tags: olive oil, Olive Oil and Vanilla Cupcakes, Olive Oil and Vanilla Cupcakes with Ricotta Frosting, ricotta, vanilla	. 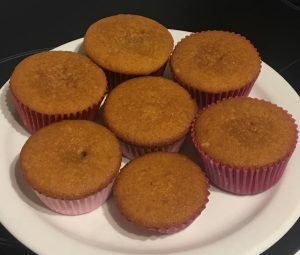 Posted on November 18, 2017 Posted in Cupcakes	. 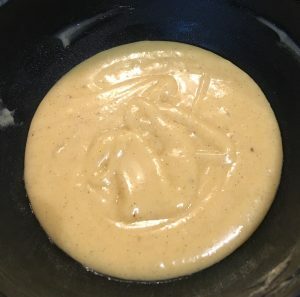 This recipe has an interesting way of coming about. I was originally experimenting by making a chocolate layer slice with a brownie, chocolate crackle, cheesecake, honey nougat and a ganache layered slice (yes seriously). It was quite nice except was very difficulty to cut and eat. The chocolate crackle layer was too hard and did not cut well while the nougat layer didn’t have the soft but stable consistency…. 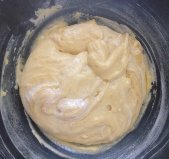 I really loved the honey nougat so I decided to use this layers recipe, only this time as an icing. Then I went through my pantry to see what ingredients I could use that would compliment this honey nougat flavour. After a little researching I decided that lavender and lemon would work perfect with my never fail cupcake recipe as the base (that also tastes magic with the honey). 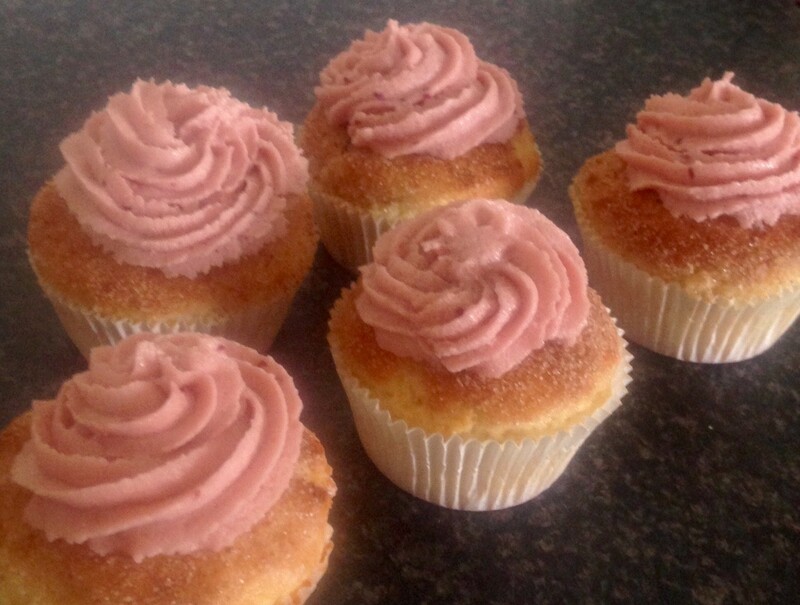 Thus a moreish delicate flavored cupcake was developed. Pre heat the oven to 180c degrees and line an 18 cupcake tray with cupcake patties. Using electric beaters whisk the eggs for 2 minutes. 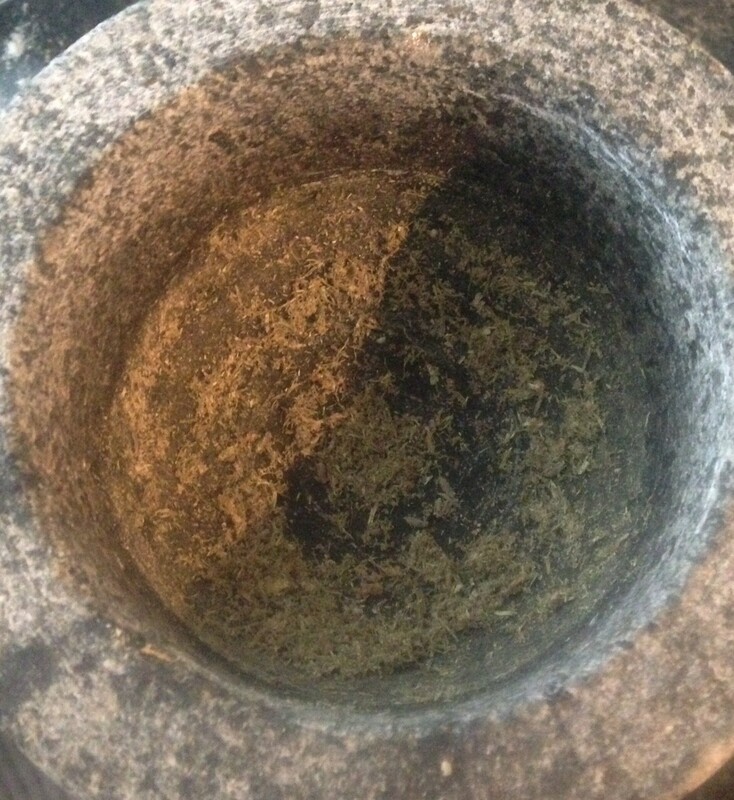 Place 2 tsn dried lavender flowers into a pestle and mortar and grind until the lavender is to the consistency of flour. 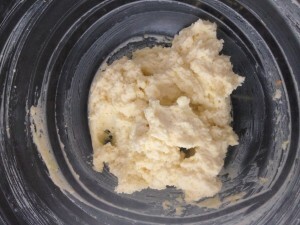 Add the sugar, ground lavender, lemon zest and vanilla essence in the egg mix and beat until light and fluffy. 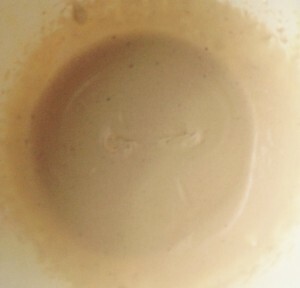 Add the vegetable oil and milk and beat until well combined. Add the flour, powder, soda and salt and beat on a low speed until just combine. Pour the mix into the cupcake patties and bake for 15 minutes or until a skewer inserted in the middle comes out clean. 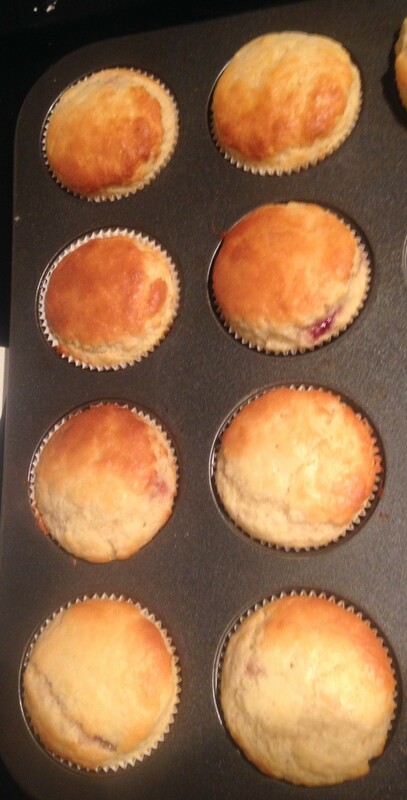 Set the cupcakes aside on a cooling rack until cool. 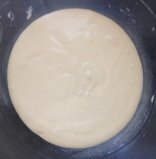 To make the icing place the egg whites into a bowl and set aside. 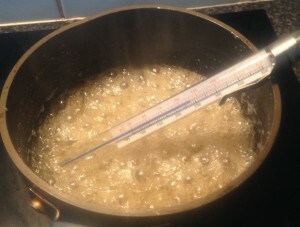 Place the honey, sugar and water into a saucepan on a high heat of your stove top and stir until the sugar is dissolved. Place a candy thermometer onto the saucepan and leave until the mix hits 120c degrees. 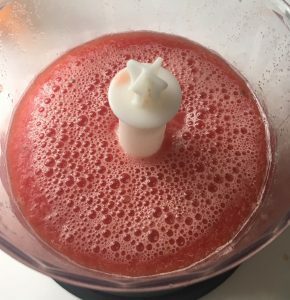 Now start beating the egg whites with electric beaters until the candy thermometer hits 135c degrees then pour the sugar syrup slowly into the egg white mix while beating on a high speed. 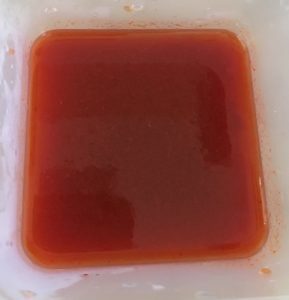 Be sure to pour the sugar directly into the mix and not on the side of the bowl. 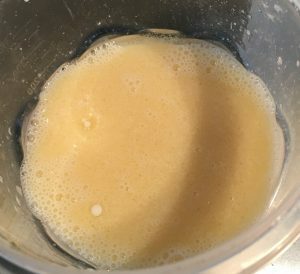 Continue beating for 2 minutes until the mix is thick and fluffy. 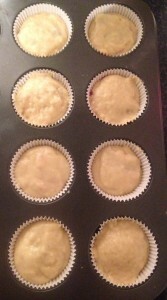 Add the lemon zest, almond essence, vanilla essence and salt and beat for 2 more minutes until the mix starts to cool. Using a palate knife spread the icing over the top of the cooled cupcakes, enjoy! 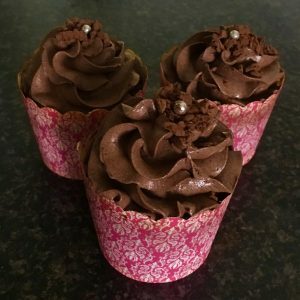 Store cupcakes in the fridge as you don’t want the nougat to soften and start to drop. 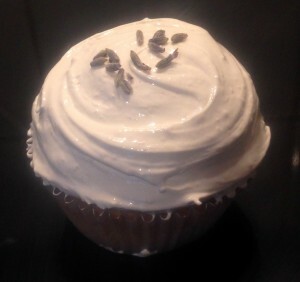 Tags: Almond, lavender, Lavender Lemon Cupcakes with Nougat Almond Icing, lemon, nougat	. 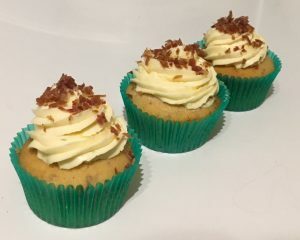 Posted on May 6, 2017 Posted in Cupcakes	. 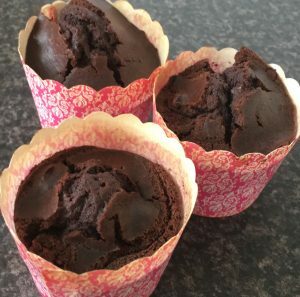 Originally I made a Licorice cake for this licorice experiment, however it was a real flop so as a ‘take 2’ experiment I decided to use my ‘amazing and always fluffy’ cupcake recipe as the base and substitute the buttermilk with a licorice ‘syrup’. 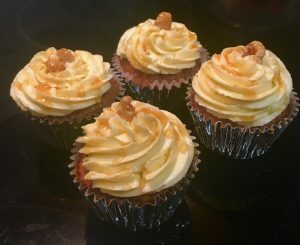 My cupcake recipe is super quick to make so this attempt was relatively easy and with a little bit of taste testing along the way I was really happy with the end result. I had quite a bit of the licorice syrup left over from the cupcakes so I decided to turn it into an icing to really make the a licorice flavour explode. If you love licorice you will love this! The vanilla adds some lovely sweetness that compliments the licorice’s intense aniseed flavour. Place the milk, star anise and licorice chopped up in a saucepan and heat on a high heat until boiling. 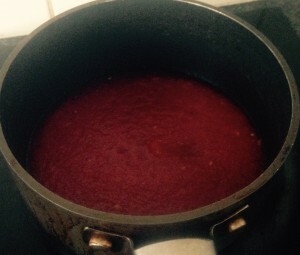 Turn the heat to low and simmer, whisking with a hand whisk until the mix reduces down to 450ml. 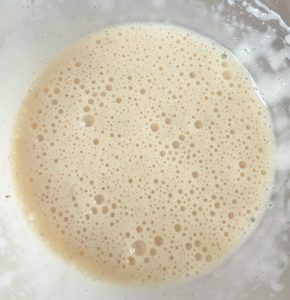 Remove the star anise and place the milk mix into a food processor to remove any undissolved pieces, leave aside to cool. 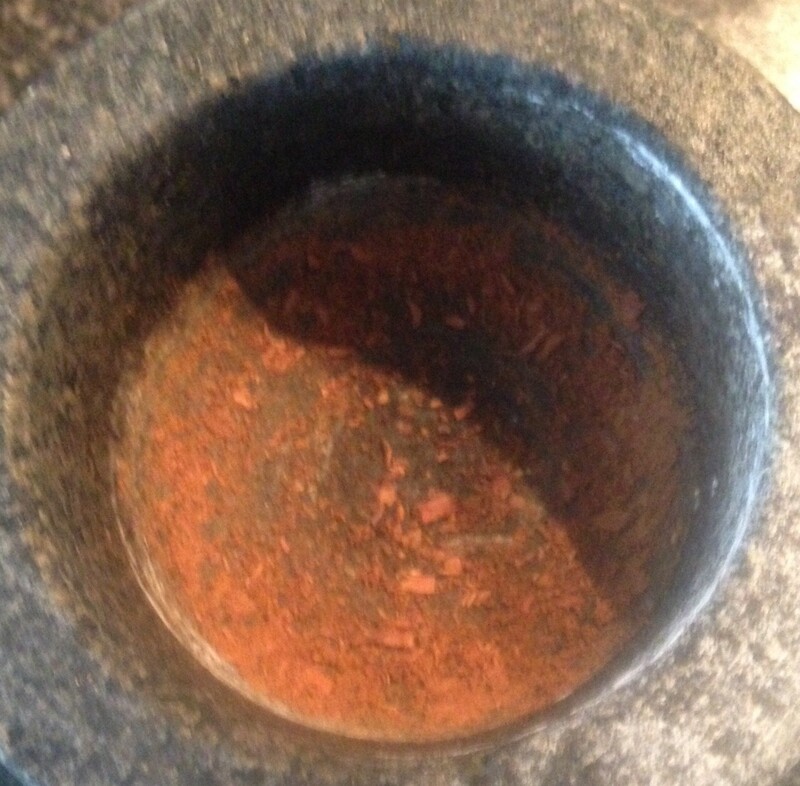 Place 5 star anise into a pestle and mortar and grind until the star anise are to the consistency of flour. 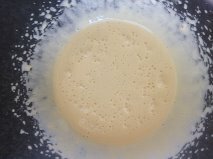 Add the sugar, 120g golden syrup, 1 tsn ground star anise and vanilla essence into the egg mix and beat with electric beaters until light and fluffy. Add the vegetable oil and beat until well combined. 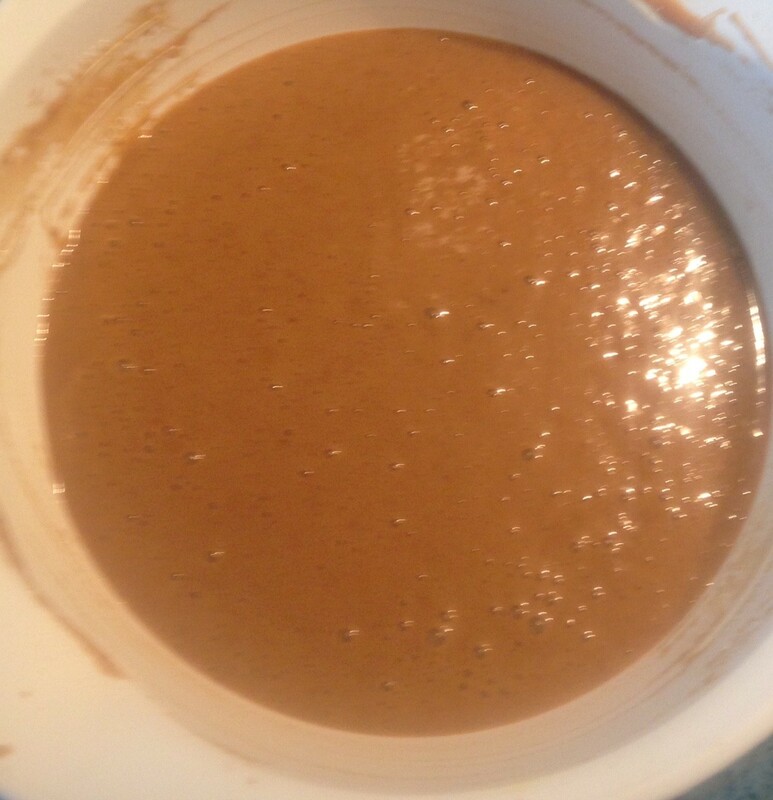 Add 150ml of the licorice syrup as well as the flour, baking powder, bicarb soda and salt and beat on a low speed until just combine. 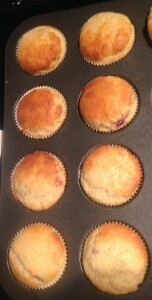 Set aside on a cooling rack until cool. 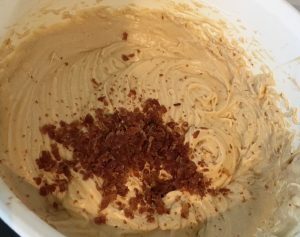 To make the icing place the remaining licorice mix into a bowl with the butter, vanilla and golden syrup. 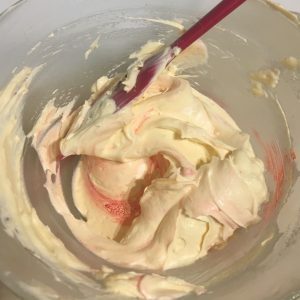 Beat with electric beaters until smooth and creamy. Place the icing in a piping bag with a star nozzle and pipe the icing in the center of the cupcakes. I have decorated with some extra licorice. 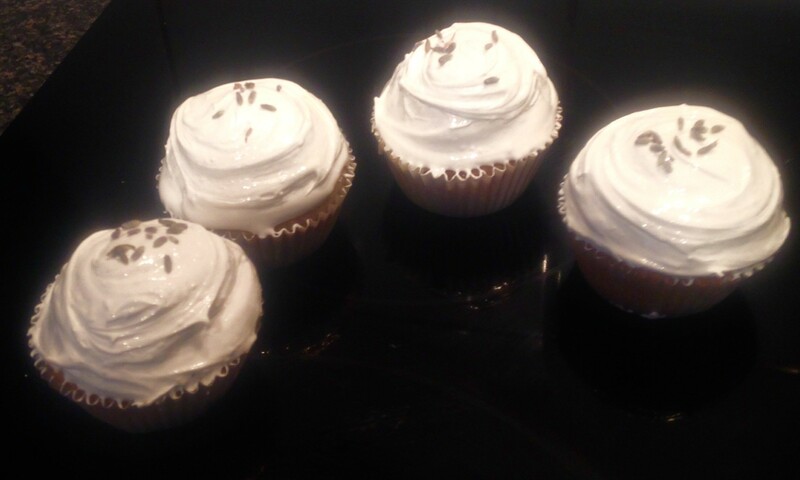 Tags: licorice, Licorice and Vanilla Cupcakes, star anise	. Posted on February 25, 2017 Posted in Cupcakes	. Low fat, sound too good to be true? 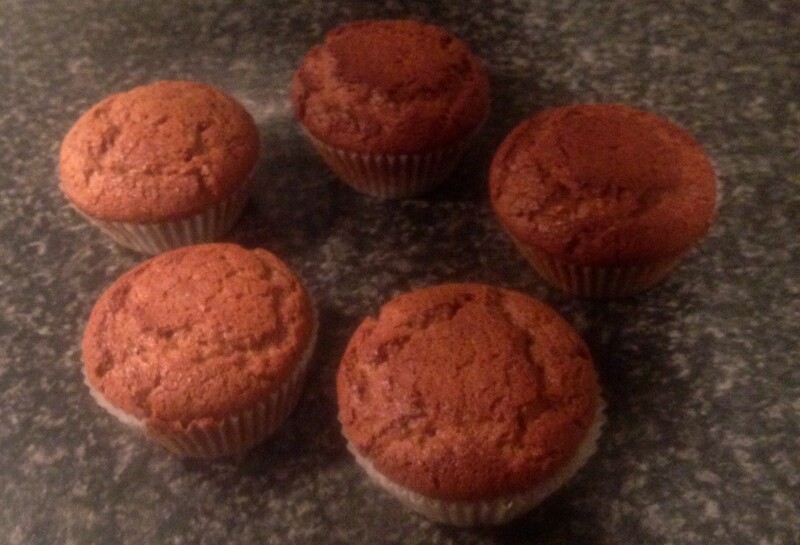 I’d say less than 6g of butter per cupcake is pretty damn good! 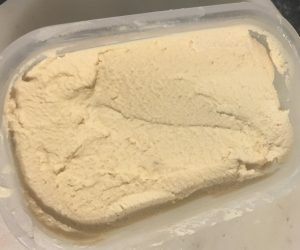 How does this treat still tastes amazing with such little butter content? 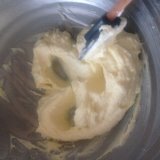 A little trick, replacing 60% of the butter with apple puree as I promise no one will even notice! Additionally, the almond provides a lovely complementary texture and satisfying crunch to the recipe. 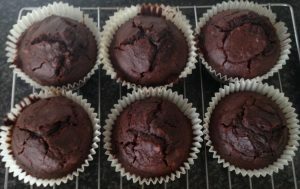 This recipe is a lovely twist on the usual chocolate cupcake and you can eat with a clear conscious! 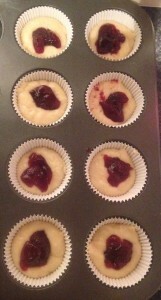 Pre-heat the oven to 200c degrees and line a 12 hole cupcake tin with patty cases. Sieve the flour, baking powder, cocoa powder and sugar in a bowl and stir to combine. 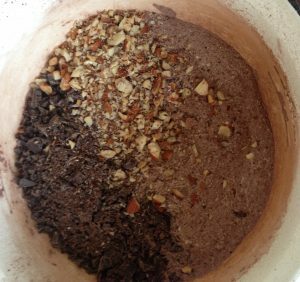 Chop the chocolate and almonds into really small pieces and place into the flour mix, stir. Melt the butter in a bowl in the microwave and add the milk, puree, vinegar and eggs. Whisk with a hand whisk until well combined. 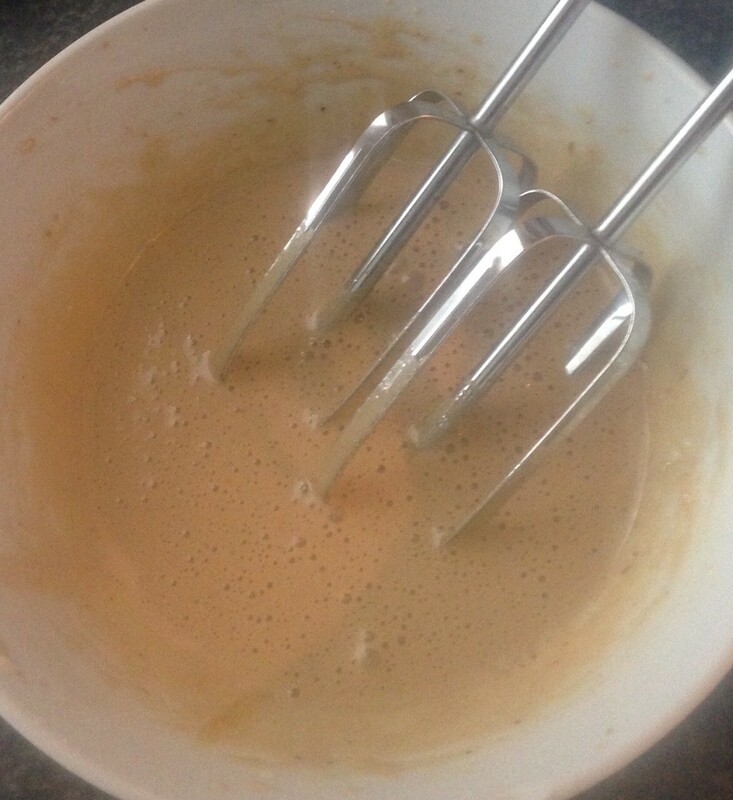 Pour the milk mix into the flour mix and using a hand whisk beat until just combine. 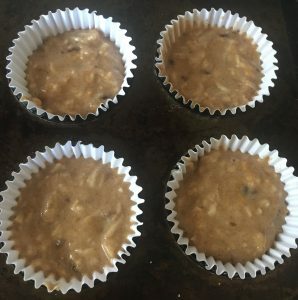 Pour the batter into the patty cases and bake in the oven for 20 minutes or until and skewer in the center comes out clean. 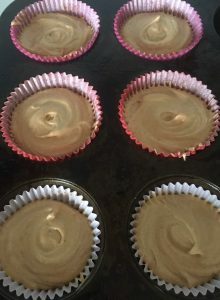 Place the cupcakes onto a cooling rack until cool. Meanwhile to make the icing beat the ingredients until well combined. 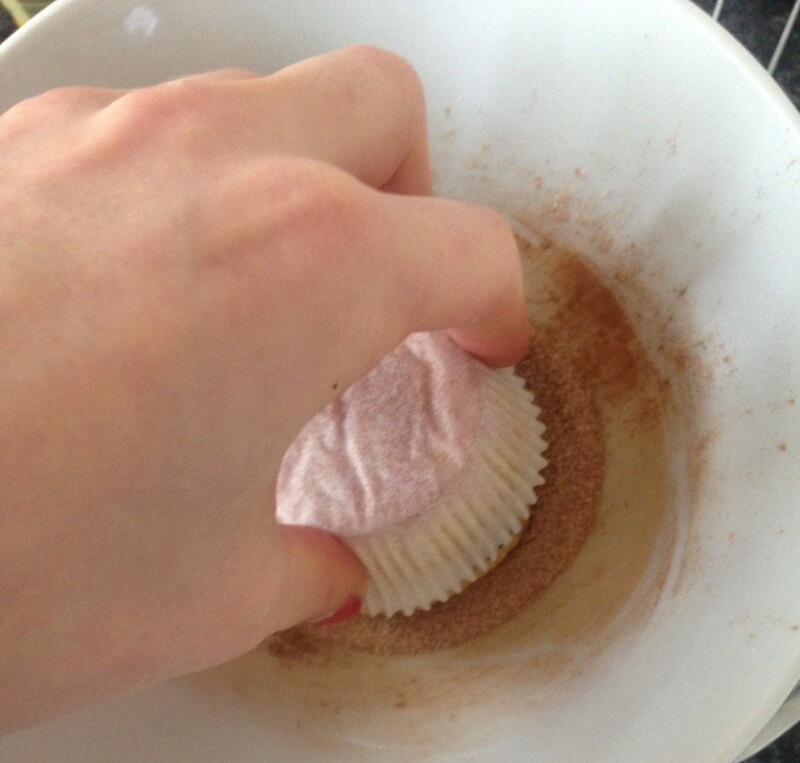 Using a spatula spread the icing over the cupcake evenly. Grate extra chocolate and dice almonds over the icing. 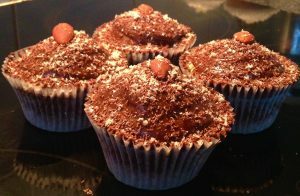 Tags: almonds, balsamic vinegar, cupcakes, dark chocolate, low fat, Low Fat Dark Chocolate Balsamic and Almond Cupcakes	. Posted on November 27, 2016 Posted in Cupcakes	. 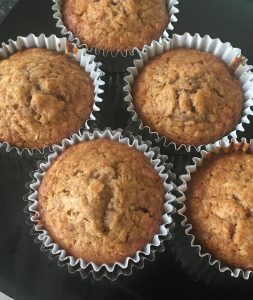 This recipe is not the first time I have baked with Miso paste (see my Miso Doughnuts), so it’s safe to say I have previously identified that Miso can actually work quite well on the sweet side of eating. 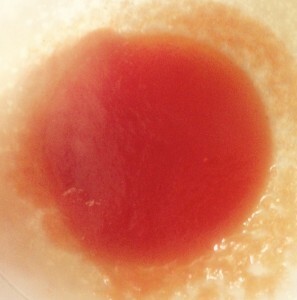 However, what I haven’t done is paired the miso flavor with another taste that it can work in balance with. After a few pairing combo trials, it was the sturdy and always reliable dark chocolate that came up trumps. 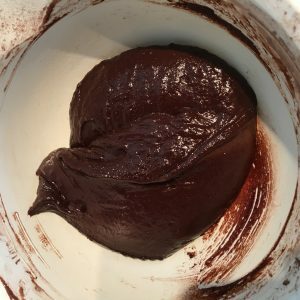 What the miso did was took the chocolate to the next level, placing a beautiful twist on the flavor and turning it into a completely unique palate. 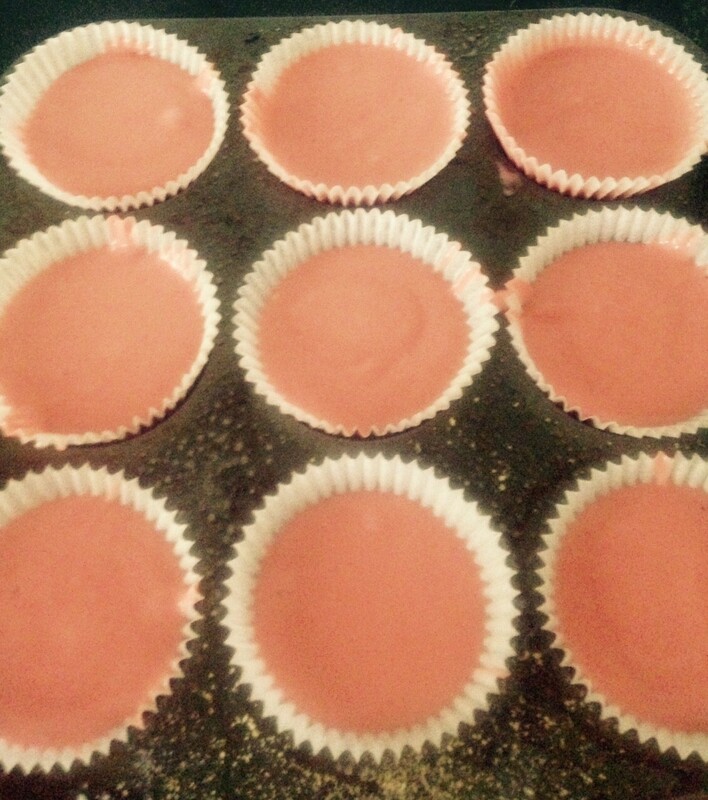 Preheat the oven to 180c degrees and line a 12 cupcake patty tin with patty cases. Sieve the flour, salt, sugar and cacao powder into a bowl and stir to combine. 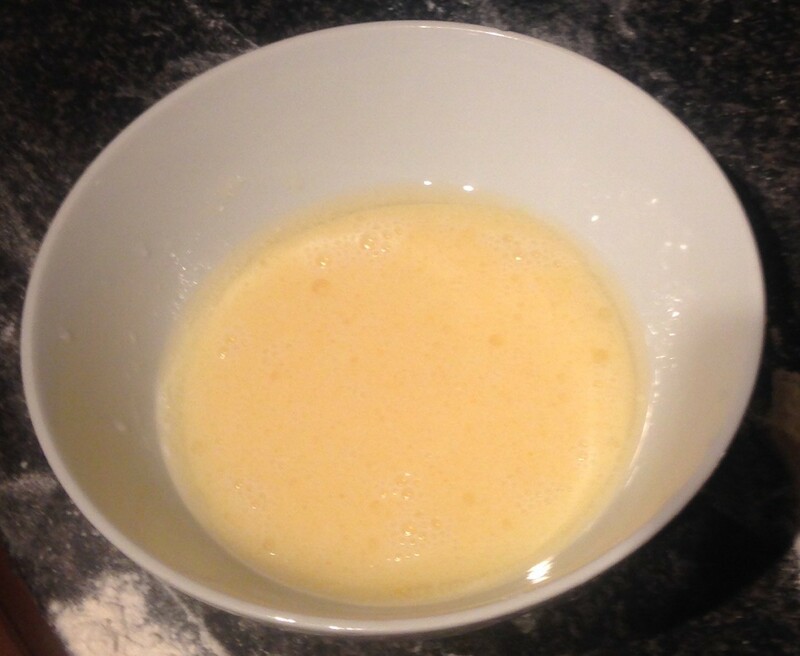 Place the eggs, vanilla, oil, buttermilk and miso into a bowl and using a hand whisk beat until combine. Pour the wet mix into the dry bowl and stir until well combined. Pour the mix evenly into the patty cases. Bake in the oven for 14 minutes or until a skewer inserted in the middle comes out clean. 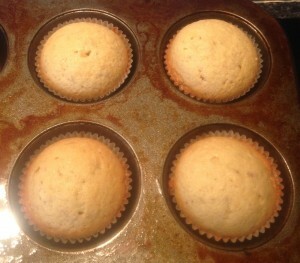 Place the cupcakes onto a cooling rack until cooled. 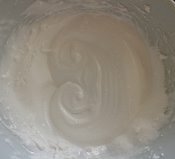 Make the icing by placing all ingredients into a bowl and beating with electric beaters for 5 minutes or until light and creamy. Place in the fridge to harden. 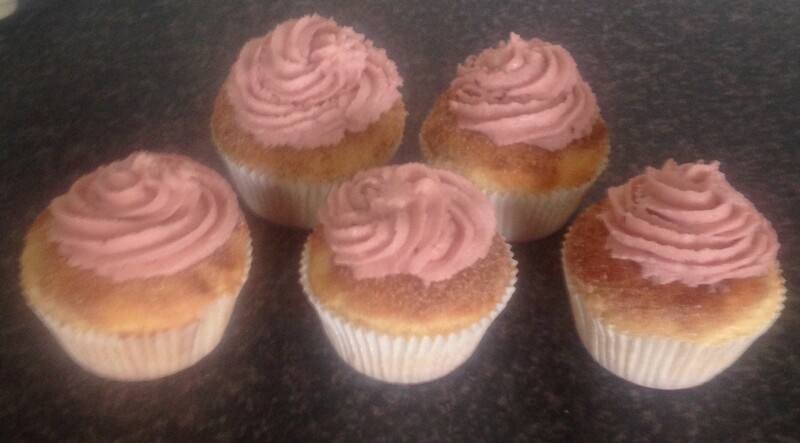 To ice the cupcakes place the icing into a piping bag with a star nozzle and pipe evenly on all cupcakes. Tags: chocolate, cupcakes, Miso Chocolate Cupcakes, miso paste	.